Bracket-positioning jigs are crucial for guiding precise, indirect bonding of Insignia brackets. There are three tips to successfully rebond the Insignia brackets with proper application of jigs and brackets. Tip 1: Carefully check residual resin on the bracket base and the tooth surface. Identify potential dislodgement factors and eliminate them. 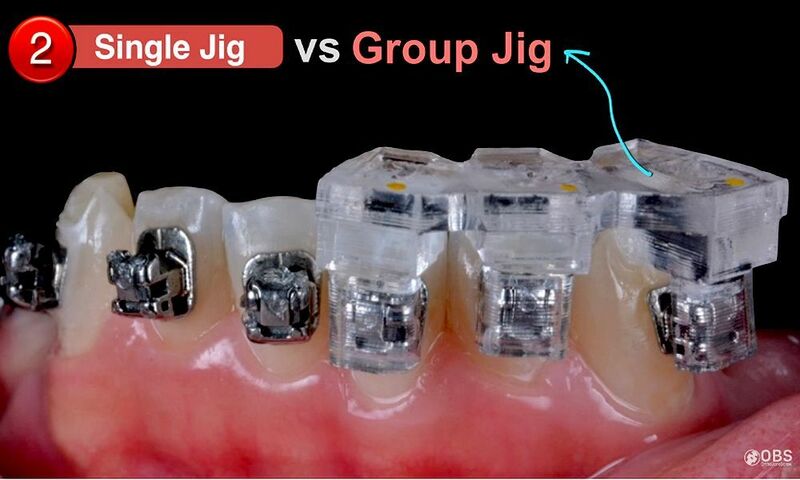 Tip 2: Use a customised single jig, not the group jig, to precisely position the bracket on the tooth surface. Tip 3: Before setting resin with light-curing, press down the corner of jig with a finger and ensure the bracket base securely fitted onto the tooth surface with the tip of a scaler or explorer.